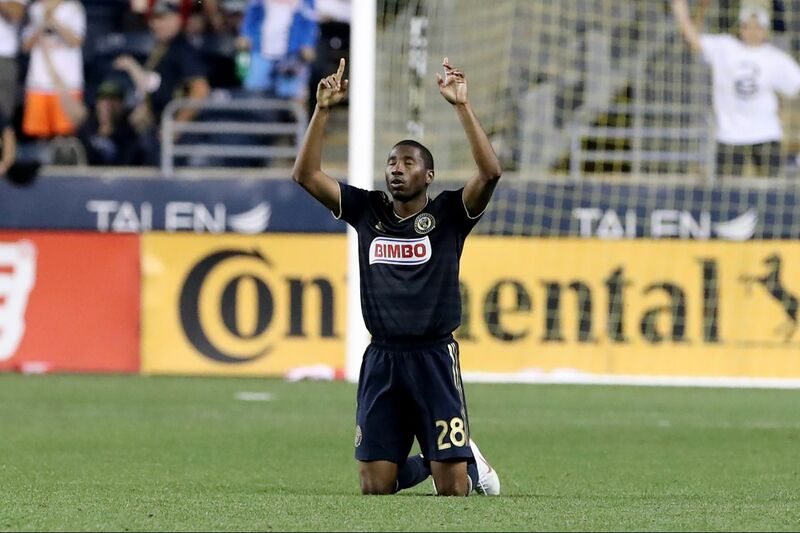 Philadelphia Union fans have suffered through a lot of bad times in the club’s nine-year history, and Ray Gaddis has been here for the last seven of them. Ray Gaddis has been on the precipice of success with the Union before. In 2014, he helped the team reach the U.S. Open Cup final, becoming the first Philadelphia-area team to do so since 1993. A year later, he played all 120 minutes of the final, and scored a penalty in the shootout before the team lost by the narrowest of margins. On Wednesday, the Union will play in the championship game of America's oldest soccer tournament for the first since since then. They will try once again to become the first local team to win the trophy since 1966. And Gaddis will try once again to deliver a title to the only professional soccer team he has ever played for. "It means a lot any time you can get to a championship," Gaddis said before leaving for Houston, where the Dynamo await Wednesday night at BBVA Compass Stadium. "It would be exceptional to lift the first trophy for this organization. … It would be exceptional for the city and our fan base as well. They're very deserving of it." Gaddis is one of six players on the current Union roster who were on the team in 2015, and one of three who were on the team in 2014. The current squad has quite a few players who weren't even pros yet three years ago, including all of Gaddis' fellow starting defenders: Auston Trusty, Jack Elliott and Keegan Rosenberry. Is it better for those players to know the team's history, or not be burdened by it? "I would like them to write their own history," Gaddis said. "Every game is a new game, every day is a new day. What's in the past is in the past, but what we can try to control — we can't control the future — is trying to win the first trophy for this organization." Some conventional wisdom has the Union favored Wednesday night, with the team in great form and the Dynamo stuck with 13 losses in 29 games. Along with that, the Union have already won once in Houston this year. But a cup final is a different dynamic — a chance to throw out past results and go all in on one game. So who knows what might happen. This much is certain: Union fans have suffered through a lot of bad times in the club's nine-year history, and Gaddis has been here for the last seven of them. For as much as the fans deserve something to finally celebrate, it's fair to say he does too. How the Union got here: Beat second-division Richmond at home in the fourth round, 5-0; beat the New York Red Bulls at home in the round of 16, 2-1; beat Orlando City at home in the quarterfinals, 1-0; beat the Chicago Fire at home in the semifinals, 3-0. How the Dynamo got here: Beat the amateur-level NTX Rayados at home in the fourth round, 5-0; beat Minnesota United at home in the round of 16, 1-0; beat Sporting Kansas City at home in the quarterfinals, 4-2; beat Los Angeles FC at home on penalty kicks in the semifinals, 7-6, after a 3-3 tie through overtime. F Mauro Manotas: The Colombia native leads the Dynamo in scoring this season with 14 goals. F Alberth Elis: A speedy and crafty attacker nicknamed "The Panther," he has 11 goals and nine assists this year. M Andrew Wenger: If you had to pick one player to score a winner for the Dynamo, wouldn't it be the Lancaster-born Union castoff from years gone by?